→What do Scallops Taste Like? 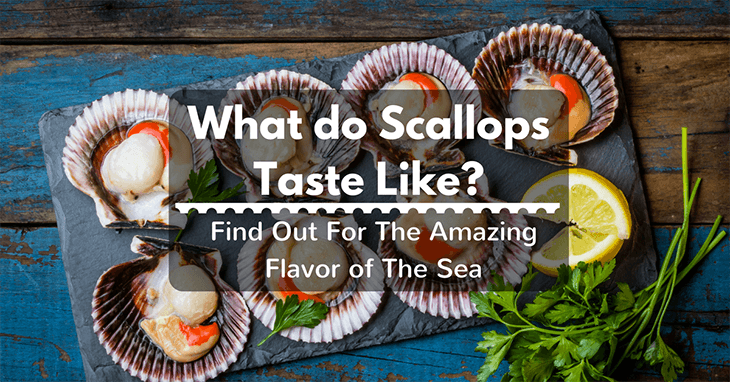 Find Out For The Amazing Flavor of the Sea! The scallop is a prized seafood that is often costly and sometimes hard to find. Five-star restaurants charge a lot for a few pieces of this tasty seafood. Yes, it's tasty! Well, I bet you don’t know about that! That’s why you got here in the first place. Right? You wanted to find out what do scallops taste like! I know a lot of times you hesitated to order this in restaurants. I feel you, that’s okay. I know, you’re not sure if you will like it or not and you are not willing to buy something you are not sure you will like! Before answering what it tastes like, let’s find out what a scallop is first. Let’s look at the different types and different ways to eat them! I guess this is important so at least you get a hint of how it would taste. More importantly, if you happen to like them, you might want to cook it yourself, right? Let’s see how you can have the freshest scallops! The scallop is a type of fan-shaped saltwater shellfish closely related to clams. Yes, just like the shells you see in cartoons! Scallops are prized seafood source that can be found in the rocky bottom of oceans. They are also farmed to supply the demands of consumers. The shells of the scallops are often used for decorations. They also produce pearls sometimes! Most of the time, people can only imagine the white muscular part of the scallop as they are most of the time served without the shells. But inside the fresh scallop shell are two edible parts. The coral, and the meat. The coral is the orange bean-shaped organ clinging to the white meat. Unfortunately, not a lot of people are familiar with this because scallops cannot be packed frozen with the coral. The coral easily deteriorates and would affect the quality of the meat when they perish. There are two types of scallops. Diver scallops, and farmed scallops. You get a simple idea. The diver scallops are fresh from the sea while the farmed scallops are commercially grown. Well, the best way to know what scallops taste like is to sample them at a restaurant. But they can come quite expensive, I know. You came here because you want to have a little idea before you finally order it! Well, here it goes! I will do my best to put into words how a scallop taste like and how the dining experience feels. Here goes nothing! A scallop can be eaten right from the shell without cooking. This may seem a little weird for some, but hey, sashimi is not cooked too! The experience starts with prying open the shell. Well, the restaurant would have it pried open for your comfortable experience. A fresh scallop would have all its parts intact. Yes, the coral and the white succulent meat. Many people may be grossed out by the taste and texture of the coral. Especially when you are not used to eating shellfish. The coral somewhat resembles the taste an oyster but with a softer texture. The meat, this is what everyone loves about scallops. They are soft and tastes a bit sweet. It’s a little chewy and more tender than the flesh of sashimi. It’s a bit salty as well and tastes like the sea. If you can’t see yourself eating scallops in their shells straight from the sea, you can have them seared. 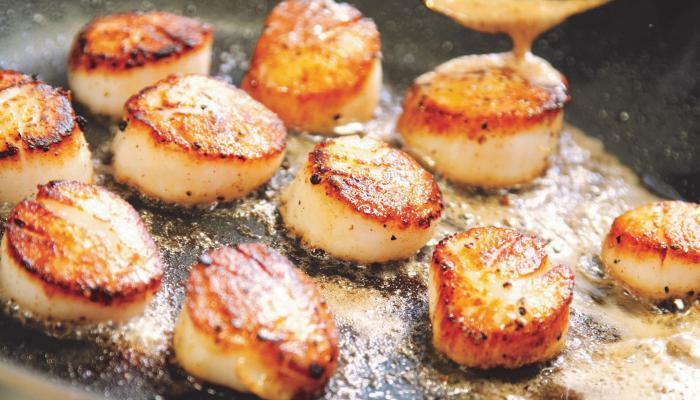 Seared scallops are like the equivalent of steak in seafood selections. They are the prime cut meat. Every bite brings you the umami of the sea. They are soft, but not mushy or gooey. It tastes like the sea, but it doesn’t have a strong fishy taste. I think the texture of the scallop is what makes it distinct and what makes the dining experience excellent. No words can accurately describe how a scallop tastes like. Nothing will ever beat the real experience! Go and grab a few from the supermarket! Fresh scallops intact with their shells are a little hard to find. But in case you find it, have them! They are sure of the freshest and best quality! But, today, scallops are sold in the market are already processed. You won’ have a chance to get a taste of the coral because they are not included. 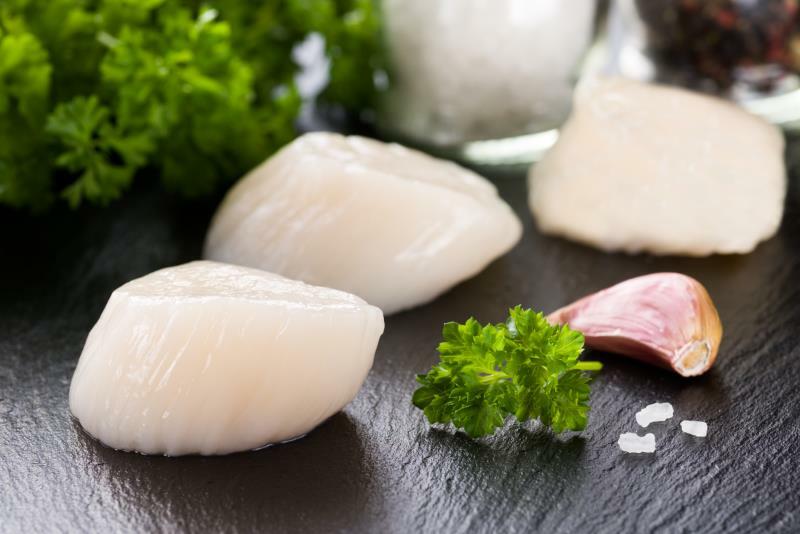 Here are a few tips you may want to consider when buying scallops. You can find two types of scallops in the market. A dry packed scallop and a wet packed scallop. 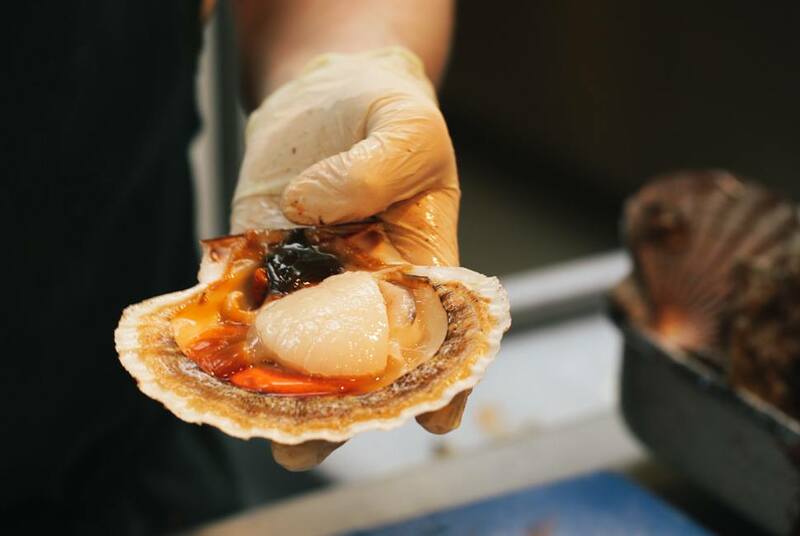 The dry packed scallops are scallop meat taken away from their shells and frozen. The wet-packed scallops are treated with STPP (sodium tripolyphosphate). These chemical forces scallops to absorb water before they are frozen. This also ruins the natural taste of scallops! Wet-packed scallops are packed with more moisture to get heavier. Yeah, it’s nasty but, it helps preserve the scallop. But it’s a little hard to tell the difference if you are not observant. 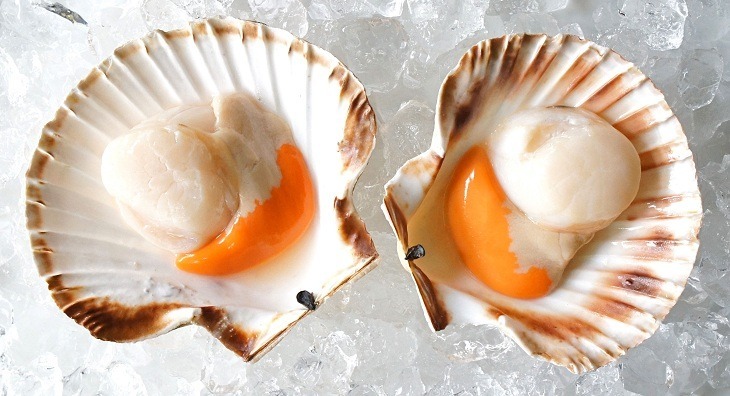 Tip 1 - Dry packed scallops are a bit pale compared with the adulterated scallops which tend to be snow-white in color. Tip 2 - Wet-packed scallops may seem plump and a little heavy on the scale. Scallops are amazing seafood that you can enjoy both raw and cooked. What do scallops taste like? Well, they taste like scallop! It can be tough to explain but, they taste like an awesome textured seafood without fish stink! If you will buy them, get them with their shells on! This ensures you get the freshest available scallops. Unfortunately, they are a little hard to find! I hope I have given you at least the slightest hint of how scallops taste! Go on, try them! They are awesome! Find this post useful? Don’t hesitate to share it with your friends! Tell me what you think! Leave a comment below, and I’ll get back to you soon.